☛ National Portrait Gallery: Portrait of Thelonious Monk by Boris Chaliapin, oil on canvas, 53.3 x 38.1cm, gift of Time magazine, object number: NPG.78.TC596. The large photo displayed above was taken by Cliffords Photography (CC BY 2.0). This painting was created specifically for the February 28, 1964 edition of Time magazine (Vol. 83, No. 9: see Time’s official website). 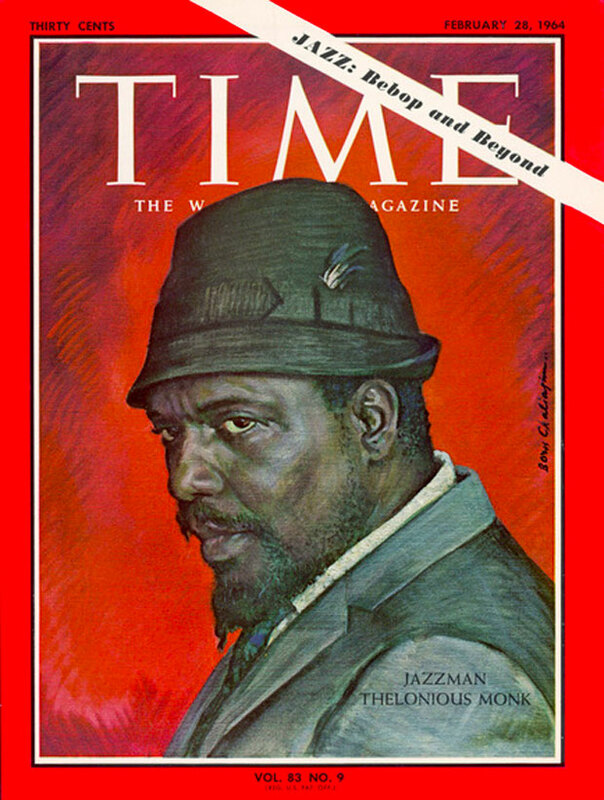 Thelonious Monk on the cover of ‘Time’ magazine, Vol. 83, No. 9, February 28, 1964. 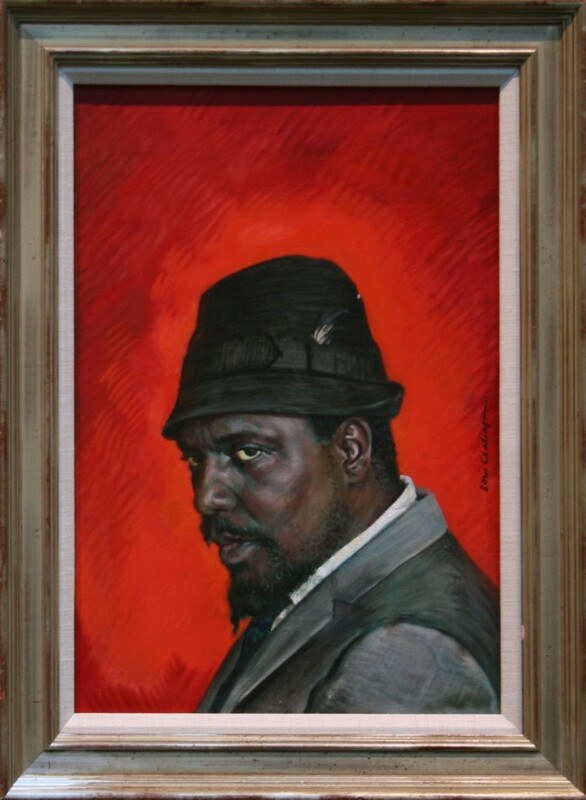 For more about this portrait, see also “Portrait of Thelonious Monk by Boris Chaliapin” (February 24, 2009) over at Face-To-Face, a blog by the National Portrait Gallery. Art Observer has another large reproduction of the same painting: “At National Portrait Gallery, Engaging Images by Renowned Artists”, March 20, 2012. At every turn of his long life in jazz, Monk’s hats have described him almost as well as the name his parents had the crystal vision to invent for him 43 years ago – Thelonious Sphere Monk. It sounds like an alchemist’s formula or a yoga ritual, but during the many years when the owner merely strayed through life (absurd beneath a baseball cap), it was the perfect name for the legends dreamed up to account for his sad silence. “Thelonious Monk? He’s a recluse, man!” In the mid-’40’s, when Monk’s reputation at last took hold in the jazz underground, his name and his mystic utterances (“It’s always night or we wouldn’t need light”) made him seem like the ideal Dharma Bum to an audience of hipsters; anyone who wears a Chinese coolie hat and has a name like that must be cool.